Dogs naturally like to chew, and there are plenty of choices out there in the dog treat world. But how many of these treats contain dyes, chemicals and other undesirable ingredients foreign to your dog's system? 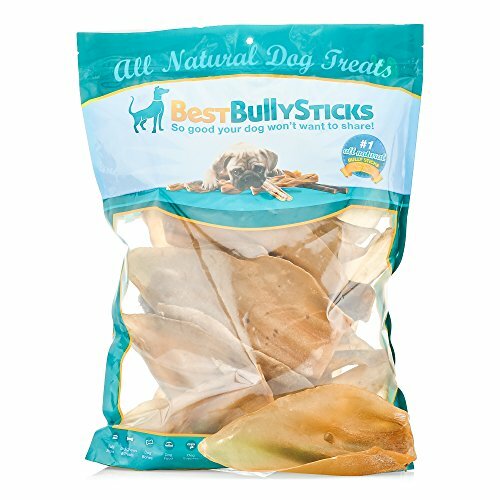 The healthy alternative to these unnatural treats are those like Economy Cow Ears by Best Bully Sticks. With no flavors, smoking agents, or additives, these minimally processed dog chews are great for dogs' dental hygiene all while satisfying their urge to chew. Natural Alternative to Rawhide: No Chemicals, Additives or Preservatives. Fully-digestible Dog Chew: Single Ingredient and Easy to Digest.